I had an order for Rhum and Tobac but the vendor canceled it and it seems hard to get. 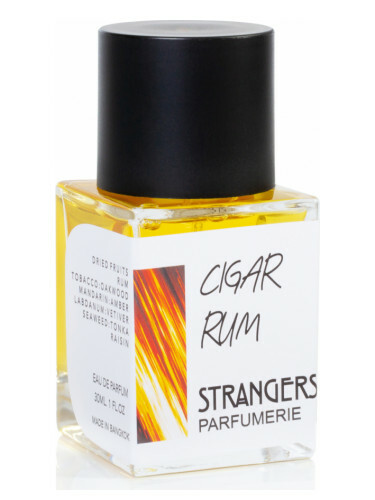 I'm looking for a really rum and "pipe" tobacco (not stale tobacco or ashtray tobacco) scent -- cigar is fine too. Not necessarily rum, but Frapin's Speakeasy is boozy with pipe tobacco and leather. Thank you. But this vendor wants 58 euro for shipping. It had been an eBay NIB deal. Is this available anywhere. Seems sold out. I emailed them to find out when it might be available again. Bright Leaf by Murdock. No rum though. I'm really enjoying Jazz Club. The tobacco is more of a hint but I think it's great. I smelled it first on a friend and found it amazing. I didn't think I'd like something that sweet. I hope this may help. I really enjoy the merchant called "50Ml"
Captain Fawcett's Booze and Baccy. You're welcome. Think I might give this a wear today myself as it's been a long while. It's supposed to be available again later this month in the new bottle/label. As of now, the line is only available online. Not rum, but the best pure boozy scent I know is Kilian's Single Malt. His Apple Brandy is very nice, too. Thank you. Ordered captain Fawcett. Tabac grande and other options found amazing. [First Impressions] Areej Le Dore "Russian Oud" + Rasasi "Atheer Cambodia" + Tauer "L'Oudh"
Using essential oils...What sort of notes create "Green", "Watery", or "Fruity" aromas? Favorite "smell good"/"safe"/"blind buy" scent?
" santos cartier concentré " - do you consider it a " smoke " " tobacco " perfum....?? ?